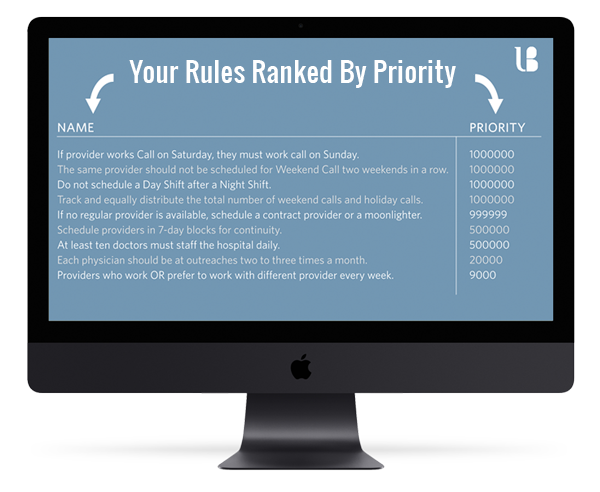 Telmediq works with Lightning Bolt to bring physicians the ultimate level of control of their schedule. Helping tackle the growing problem of burnout, Lightning Bolt has been ranked No. 1 by KLAS for two years in a row. Providing physicians control of who can contact them, when and for what reason is essential. 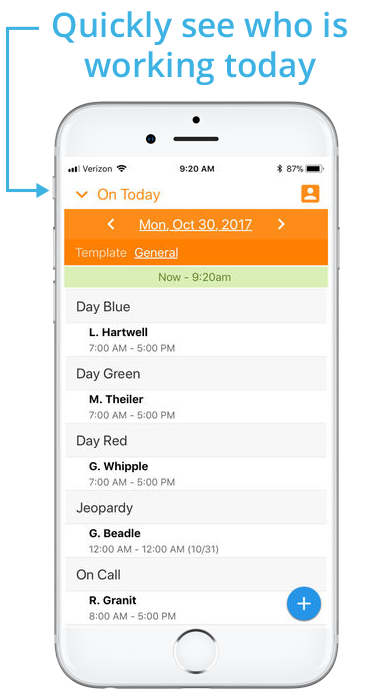 Lightning Bolt integrates physician shift input and preferences and constantly learns, predicts, and adapts to provide the best experience for physicians. Flexible, transparent, real-time tools make it easy to adapt to changes, including mobile apps, instant on-call management, and easy time-off and shift swap requests. 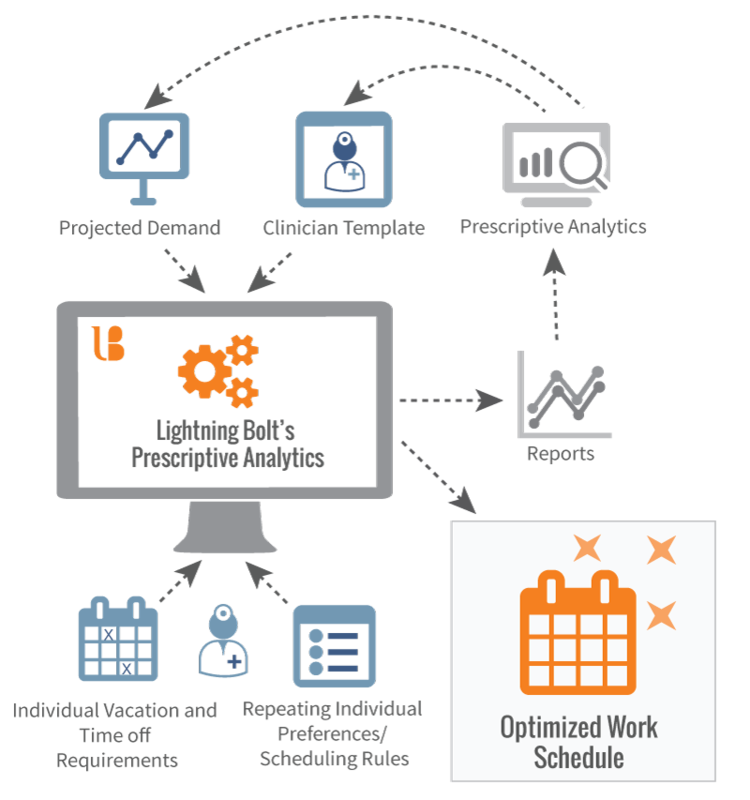 Lightning Bolt’s AI-powered solution manages thousands of physician shift schedules across multiple departments and locations. 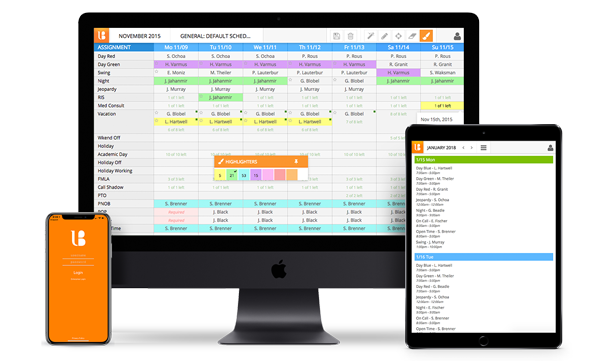 Set up hundreds of scheduling rules around recurring meetings, shift preferences, fair on-call time management, holiday and vacation distributions, residency schedule restrictions and recovery time after overnight shifts. 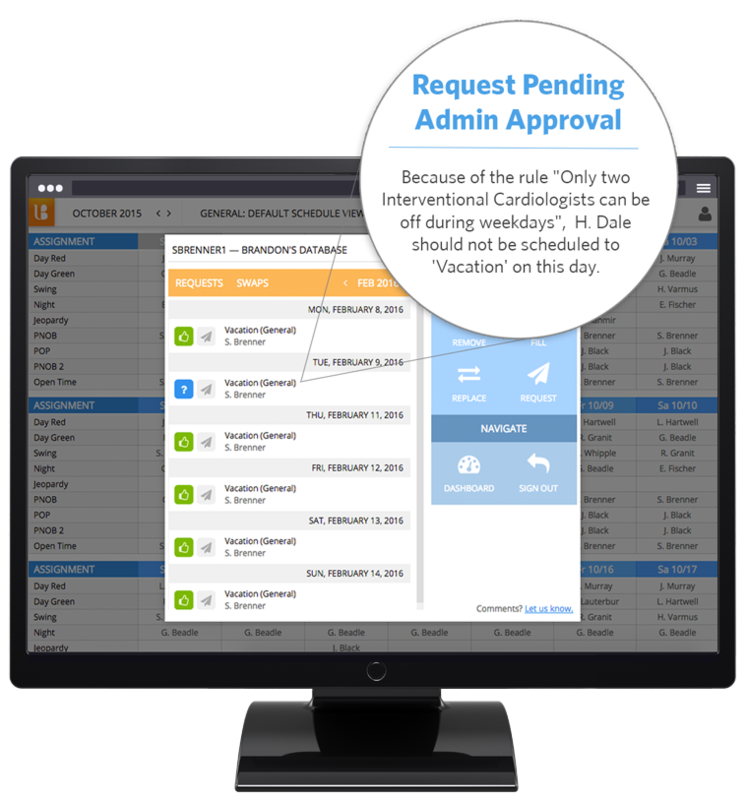 Administrators can swap shifts for multiple people at a time, contractual obligations can be defined and custom time off requests can easily be managed. Advanced analytics help you evaluate schedule performance and test new optimizations. We will work closely with you on implementation, adjustments, expansion and analytics. We are constantly working to advance the science behind better physician shift schedules – looking at new patterns in handoff continuity scores, call times and burnout. 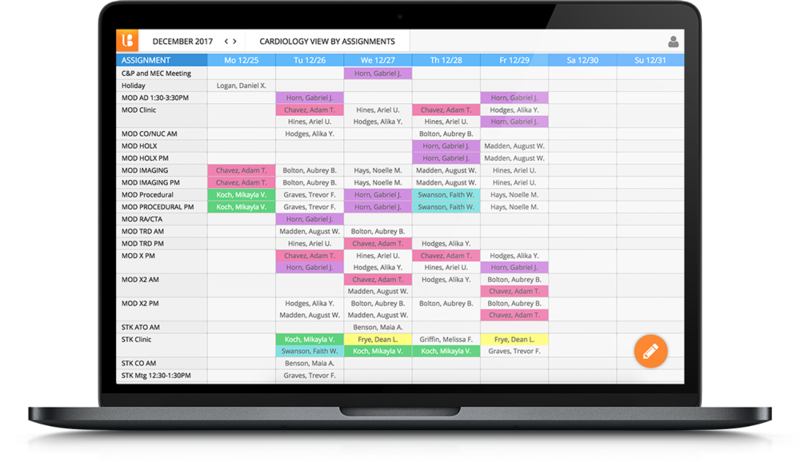 Increase patient access and support same-day appointment availability with smarter schedules. With Lightning Bolt it is possible to align physician supply with patient demand. This provides patients better access to care without pushing providers to a point of fatigue. Provide the right care, at the right time, from the right provider.